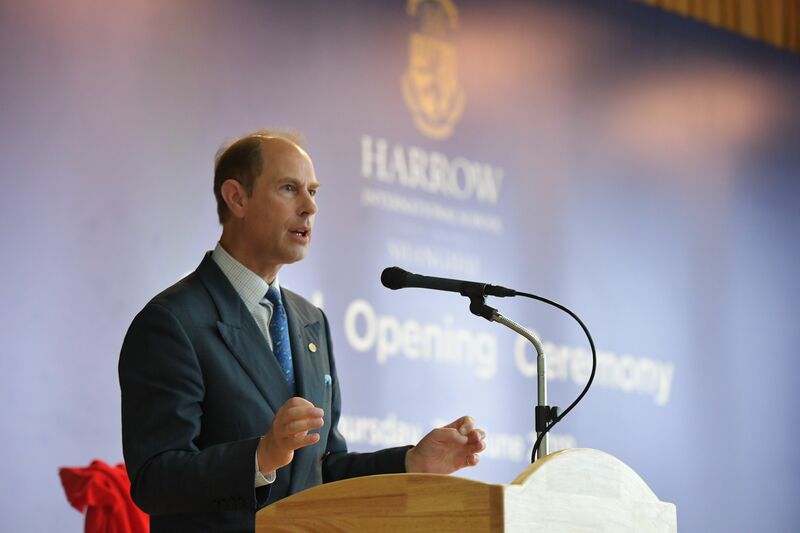 On Thursday, 7th June 2018, HRH The Prince Edward, Earl of Wessex – the third son of Her Majesty Queen Elizabeth II of England – officially opened Harrow International School Shanghai. 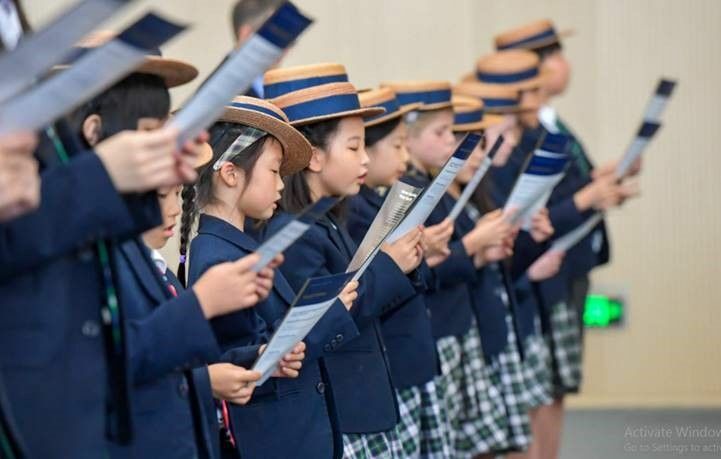 The opening ceremony was held in the main auditorium at the school and involved the unveiling of a commemorative plaque by HRH Prince Edward and a series of performances by the pupils, including the singing of the school song, ‘Forty Years On’ in English and Chinese. 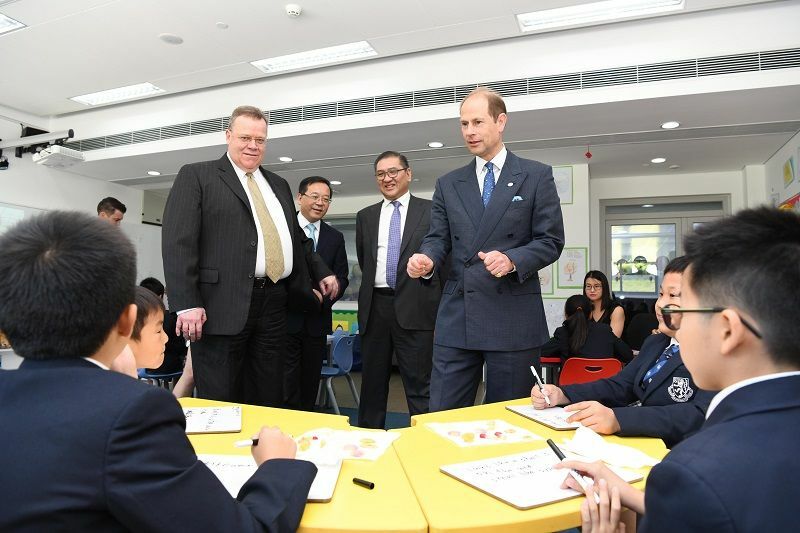 The Prince also toured the school, accompanied by Mr John Edwards, the British Consul-General, Mr Li Guohua, the Deputy District Chief of the District Government of Pudong New Area, Ms Zhu Huihua, the Director of Education Bureau of Pudong New Area, Mr Daniel Chiu, founder of Harrow International Schools and Chairman and CEO of Harrow International, Mr Eric Leung, Managing Director of Harrow International and Mr David Cook, the Headmaster of Harrow Shanghai. The pupils of the school cheered the royal party as they walked around the school. Harrow has long had strong links with British royalty. Harrow School itself, in north-west London, opened in 1572, with a royal charter from Queen Elizabeth I. So, for over four centuries, Harrow has adhered to its core mission of ‘Leadership for a Better World’. From London, the traditions, heritage and reputation of the school have spread around the world. Renowned for its list of distinguished and highly successful alumni, Harrow has educated many great leaders in all walks of life, with names such as Winston Churchill, the famous poet Lord Byron, the founding Prime Minister of India Pandit Nehru, and several Nobel Prize winners. The first international school appeared over twenty years ago in Bangkok, when Harrow opened there in 1997. Hong Kong, Beijing and now Shanghai have followed. A strong academic reputation has been established in the international schools, with Harrow graduates going on to study at the world’s top universities, such as Oxford, Cambridge and the Ivy League schools of the United States. 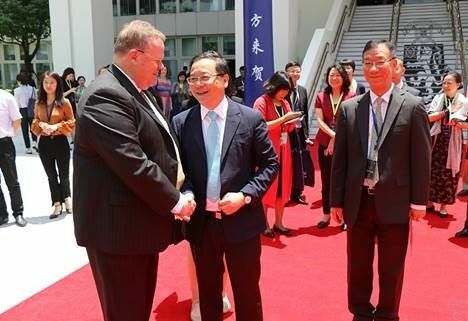 Shanghai has a special significance as the location of the newest member of the Harrow family of schools. 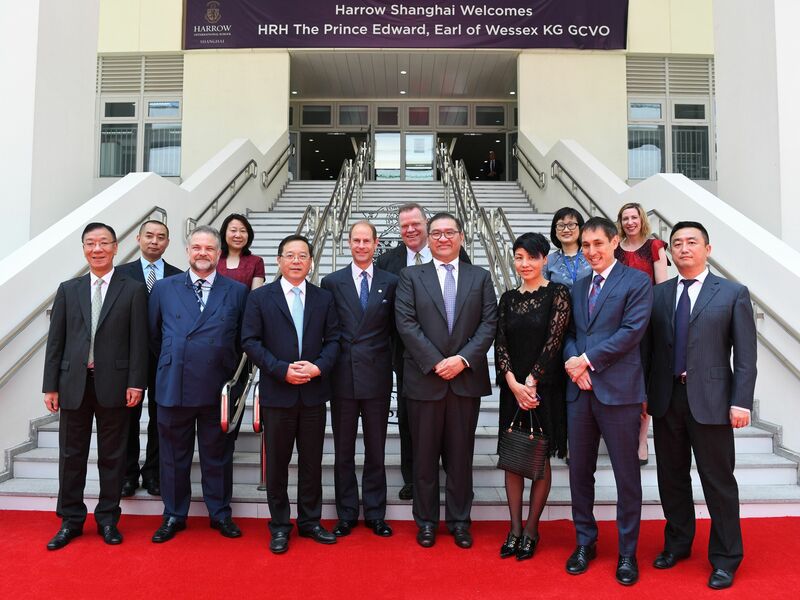 As Mr Daniel Chiu, founder of Harrow International Schools and Chairman and CEO of Harrow International, pointed out in his welcome speech, “Although Harrow Shanghai is our newest, it is a particularly significant school, as Shanghai is one of the world’s greatest cities where the East meets the West, and it is also the place where the most advanced cultural and educational ideas converge.” He continued, the unveiling of Shanghai Harrow not only means that the Harrow family has added a new member, but also recognises the cultural traditions and educational concepts of Harrow along with the expectations for the future of Chinese society, education, parents and pupils. A special moment for The Prince was when he was introduced to and interacted with the Harrow pupils who have participated in The Duke of Edinburgh’s International Award. The Award was founded more than 60 years ago by The Prince’s father, HRH The Prince Philip, Duke of Edinburgh, who it is named in honour of. The programme has been a striking success, having expanded to over 130 countries and territories, helping to inspire over 1.3 million young people every year, under the chairmanship of HRH Prince Edward, as the Chair of The Duke of Edinburgh’s International Award Foundation. Pupils who achieve the Award, at Gold, Silver and Bronze levels, have to demonstrate personal responsibility and leadership, as well as great fortitude and individual fitness. Teamwork is another essential characteristic. Success in the Award is widely considered a major asset to academic studies, personal development and that all important search for a career. The Duke of Edinburgh’s International Award is very much a strength of the Harrow family of schools. 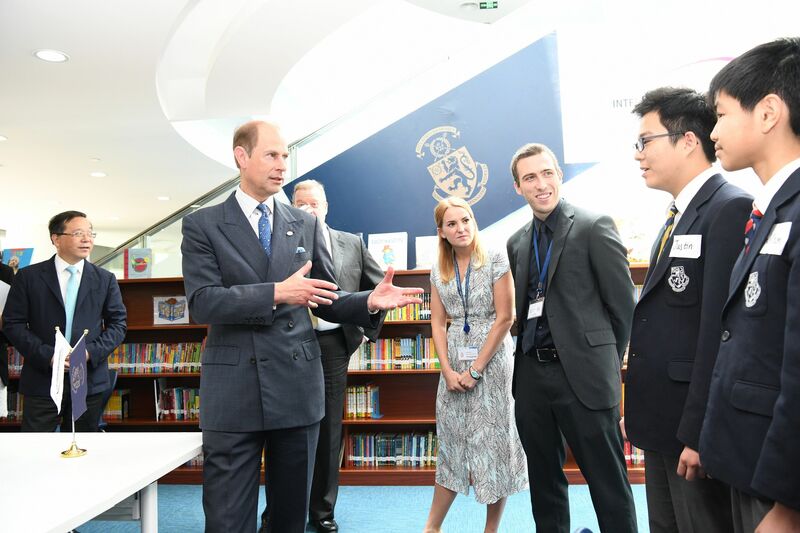 Currently, Harrow International Schools have around 500 students participating in the Award programme, which is very much a part of the school’s mission of ‘Leadership for a Better World’.